LITTLE ROCK – Southern Bancorp’s Jeremy Hurst has joined the Hernando, Miss. lending team as Senior Vice President of Commercial Lending. He previously held this position in El Dorado, Ark. where he managed a loan department with a $100 million loan portfolio. A rising star in the commercial lending field, Hurst was named 2017 Commercial Lender of the Year after just four months with the bank. During this time, he was responsible for over $10 million dollars in new lending. An El Dorado, Ark. 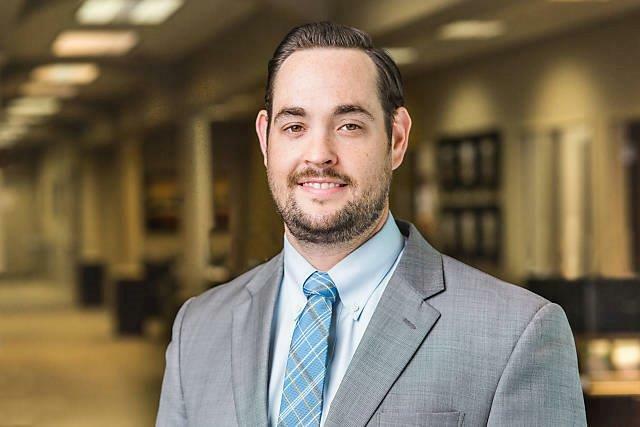 native, Hurst received his Bachelors of Business Administration in Finance from the University of Arkansas at Little Rock in 2007 and his Masters of Business Administration from Southern Arkansas University in 2015. He has also received certificates from the ABA National Commercial Lender School at Southern Methodist University and the Paul W. Barret Jr. Graduate School of Banking. Hurst has held numerous roles on community and civic boards, including commissioner for the City of El Dorado Zoning and Planning Commission and president of Civitan International, El Dorado Chapter. He currently lives in Hernando, and has two children, Emerson, 5 and Rex, 3.